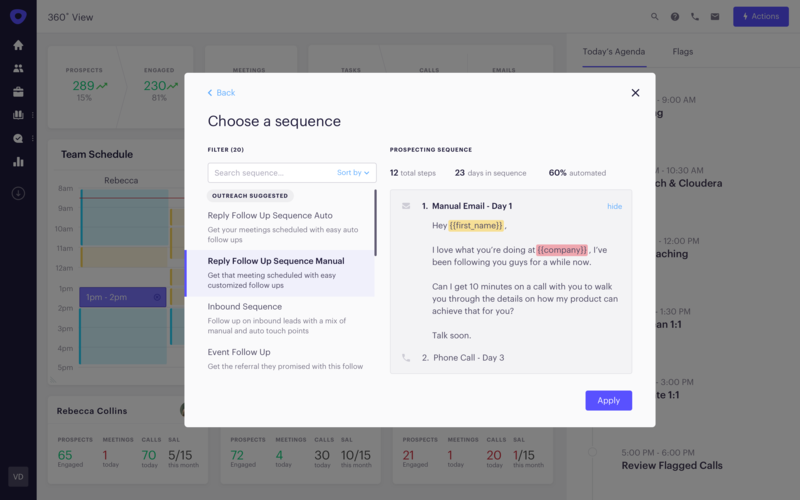 Seattle-based sales automation and customer engagement platform company Outreach has raised $65 million in a Series D financing round. The investment was led by Spark Capital, and includes participation from Sapphire Ventures as well as from existing investors DFJ Growth, Four Rivers Group, Mayfield, MHS Capital, Microsoft Ventures and Trinity Ventures. Outreach has raised $125 million to date. The company says its valuation has doubled since its Series C round last year, which is pegged at a reported $500 million.